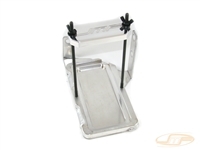 AMS Small Battery Tray (battery not included). 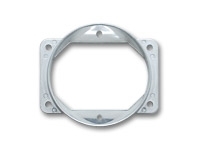 JMF Aluminum Radiator Brackets. Also available in black or purple anidozied. The AMS EVO 7-9 Front Mount Intercooler has 80% more internal flow area than its stock counterpart and works with stock and some aftermarket piping. 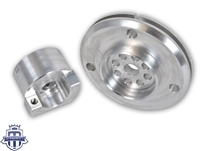 This ETS FMIC Kit includes a 24" x 11.5" bar and plate intercooler core, Stainless Steel mandrel bent tubing, mounting hardware, silicone couplers, and T-Bolt clamps needed for a quick, and easy installation. Each kit is pressure tested to 35PSI. This ETS Evo 8 Standard Tank Front Mount Intercooler includes a 24" x 11.5" bar and plate intercooler core, mounting hardware, silicone couplers, T-Bolt clamps, and is pressure checked to 35PSI. This ETS Evo 9 Wide Tank Front Mount Intercooler includes a 22" x 11.5" bar and plate intercooler core, mounting hardware, silicone couplers, T-Bolt clamps, and is pressure checked to 35PSI. Mitsubishi OEM Thermostat Gasket for the EVO 8/9. OEM Mitsubishi Intake Manifold Gasket. JMF's 3" polished intake pipe with recirculation tube is made from 6061 Aluminum tubing, and is designed for Evo's running the stock MAS. This intake pipe is NOT compatible with the stock airbox! 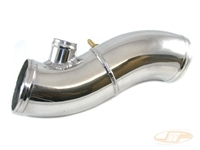 JMF's 4" polished intake pipe is made from 6061 Aluminum tubing, and is designed for Evo's running on Speed Density. BOV must be vented to the atmosphere to be able to use this intake pipe. 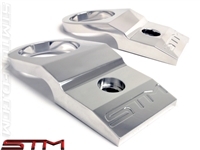 Introducing JMF's aluminum "Race" sheetmetal intake manifold for the Evo 8/9! Magnus' V5 Cast Aluminum Intake Manifold for the EVO 8/9. Designed to get the most out of the powerful 4g63 engine. 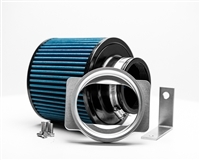 The AEM Performance Cold Air Intake System produces horsepower and torque gains by replacing your vehicle’s restrictive factory air filter and air intake housing. 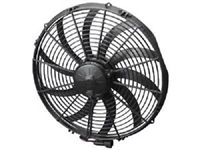 The more airflow a vehicles engine receives, the more power you will be able to generate. The all-new Agency Power Short Ram Intake Kit for your Mitsubishi EVO VIII, MR, and RS is the perfect solution to increasing airflow allowing for more performance from your EVO. 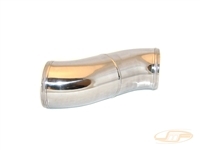 ETS's Air Intake Kit is a great modification for any Evo 8/9 running the stock MAF. 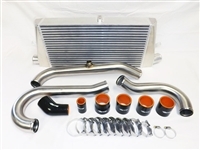 This kit works with stock and aftermarket intercooler piping, and will work with all aftermarket BOV's that fit the stock intake tube. The AMS EVO 7-9 Lower Intercooler Pipe (LICP) Kit is a light weight, high flow replacement for the restrictive factory piping. With this LICP kit, you can see gains of 7-10WHP!